We refurbish and sharpen share blades, punches and lower dies, we repair old tools and match them to new ones. 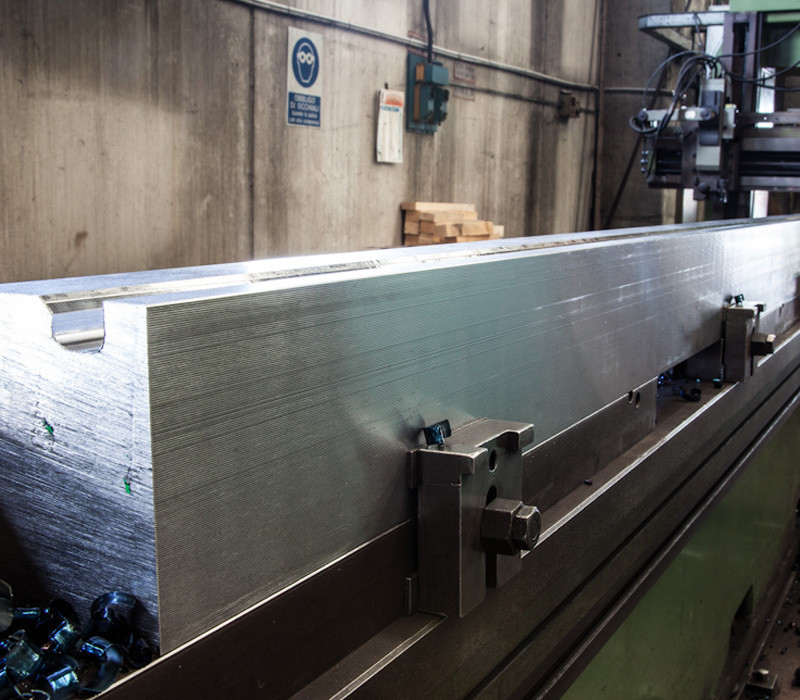 Thanks to our 11 meters long planer we can plan the shape of long bars, tooling, spare parts, make slot and keys or make jobs an demand. 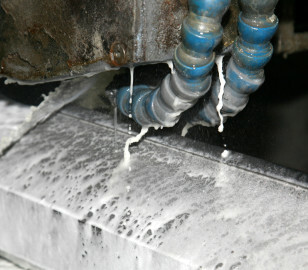 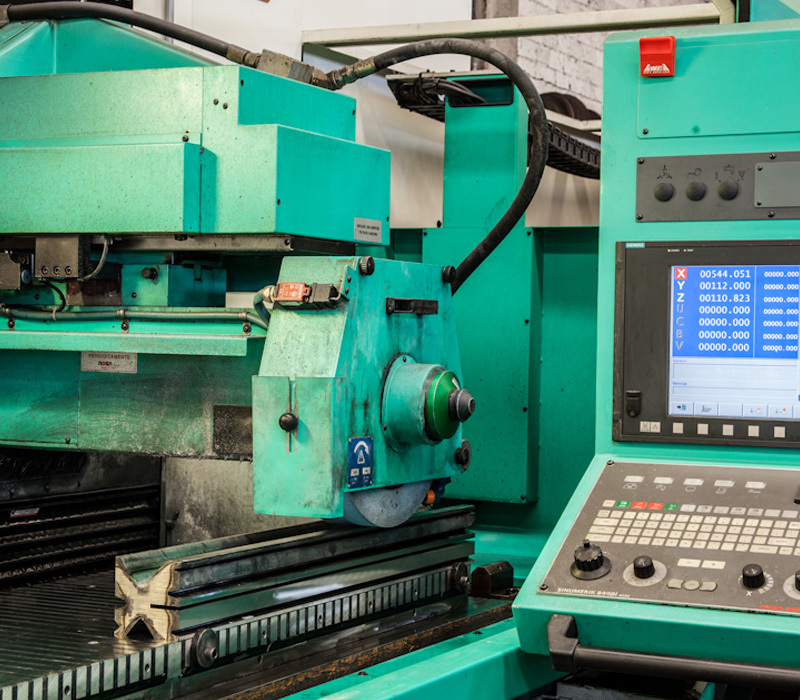 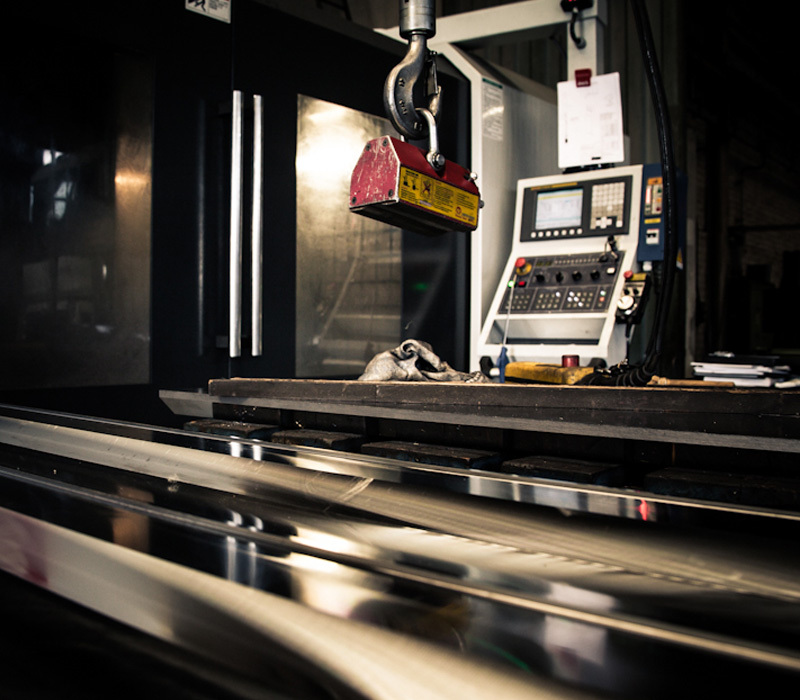 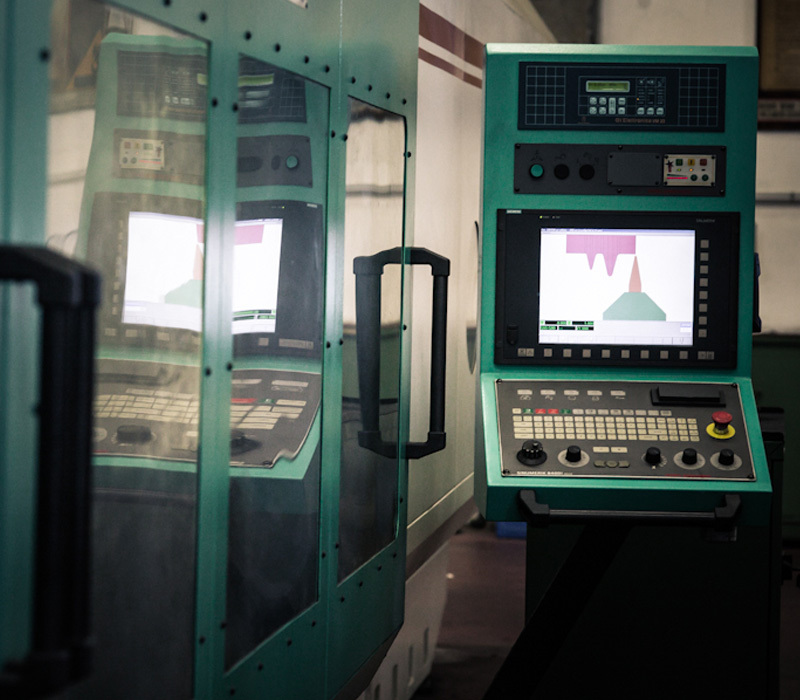 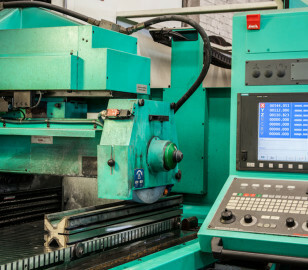 We do have modern CNC milling centers, with rotary tables, various CNC millers till a maximum length of 6000 mm. 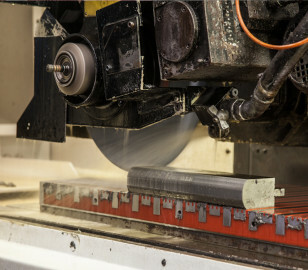 Our grinding machines, all of them with highest last generation technology, can grind till maximum length of 6100 mm in one piece; we also have grinding machines with grinding diamond-rolls and segment grinders. 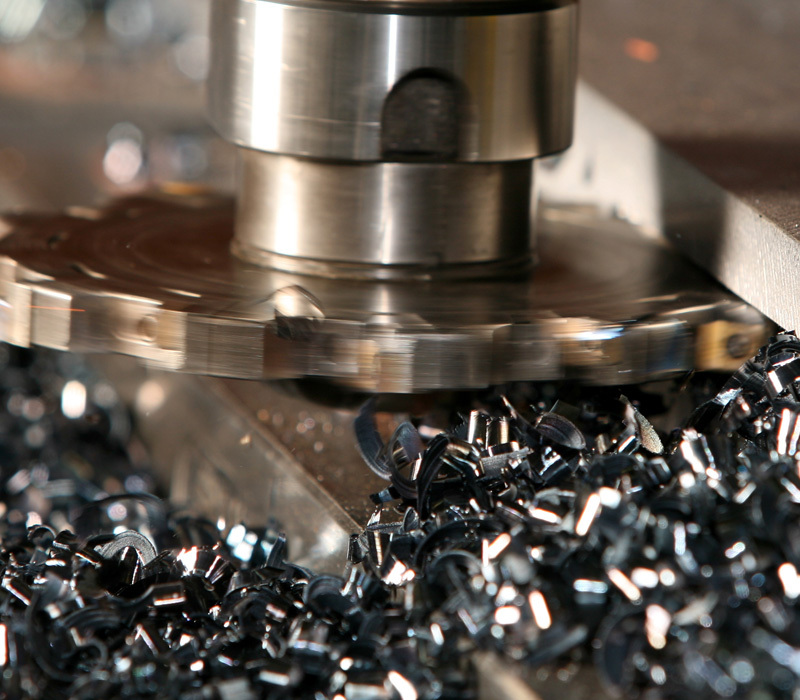 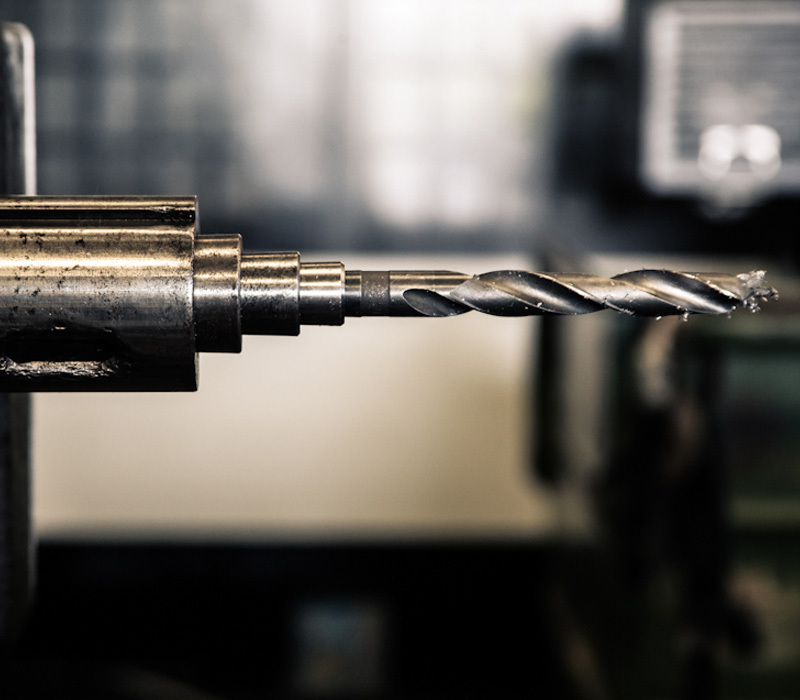 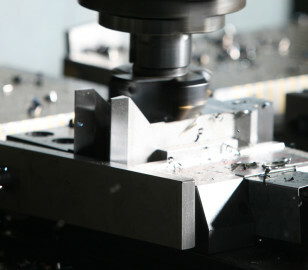 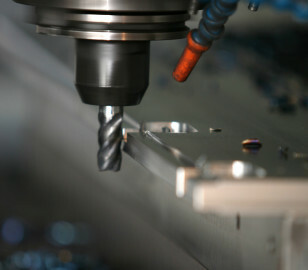 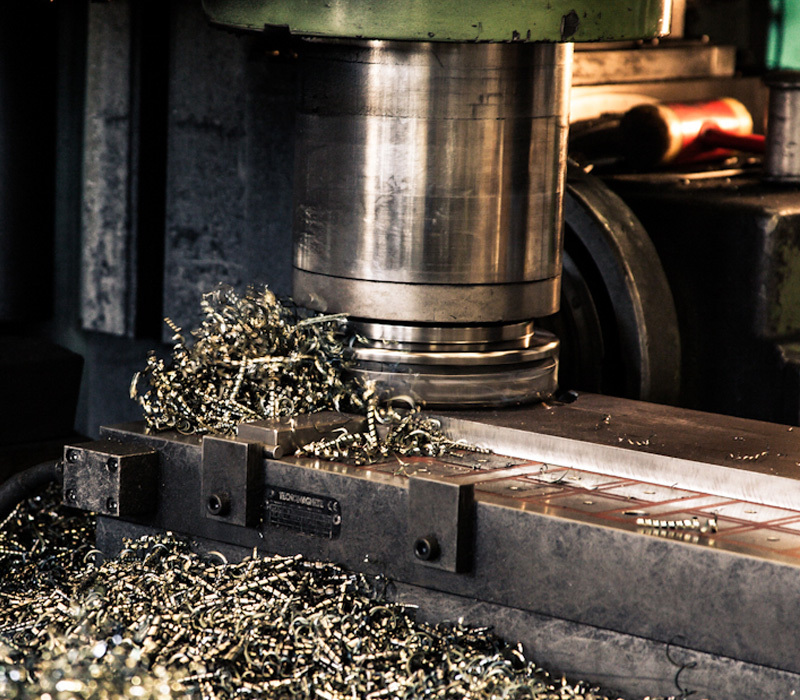 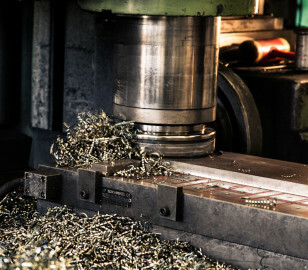 We make drilling and reaming, keys, pin connection with modern CNC boring and machining centers. 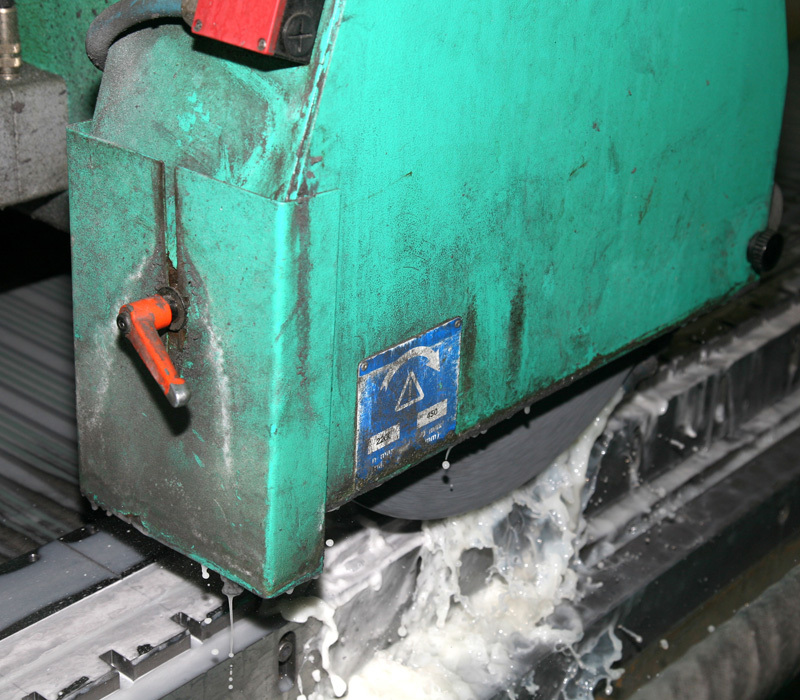 We have a big automatic saw, able to cut by mean of a saw-band big dimensions. 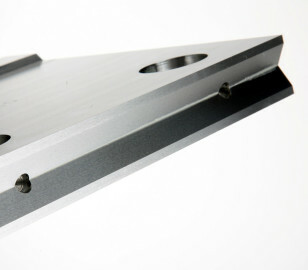 We can straighten our pieces, where possible in our workshop, with an eccentric press. 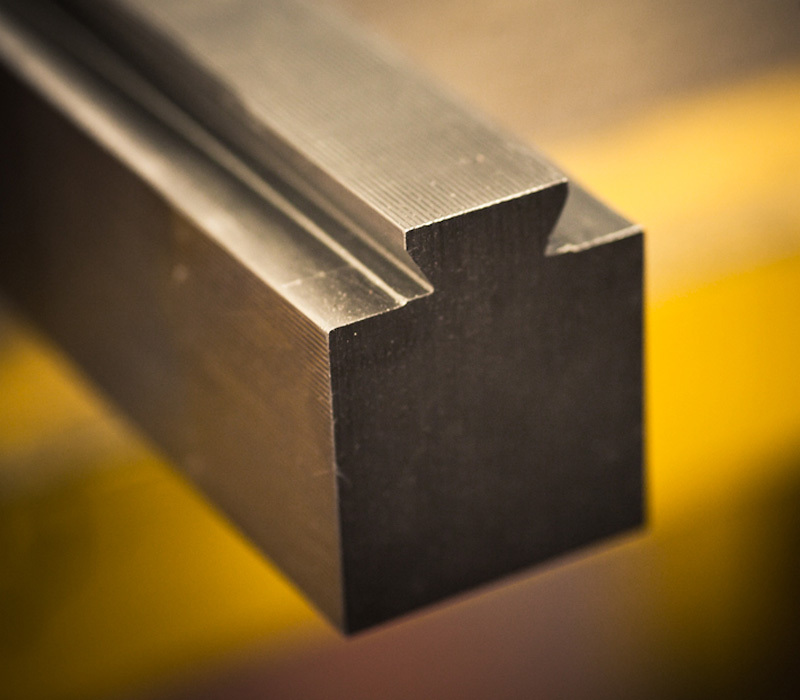 Our tools are laser marked with our company logo and technical information of the workpiece. 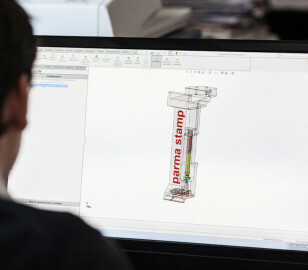 We can make special customized marking on demand, with client’s logo and so on. 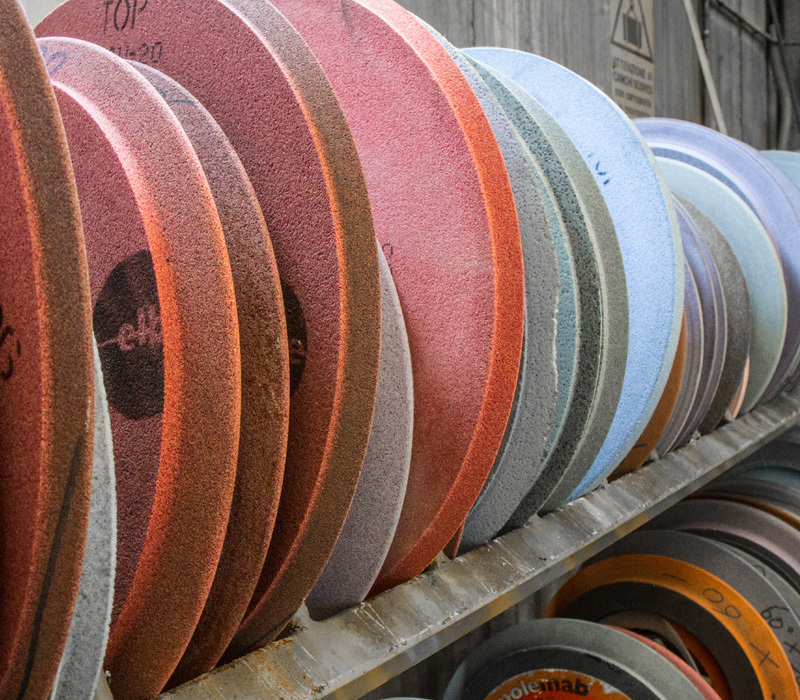 The wide experience of over 40 years in the production of press brake tooling was made possible not only by the support of our equipped workshop and experienced staff, but by the ability to develop projects on specific request of customers . 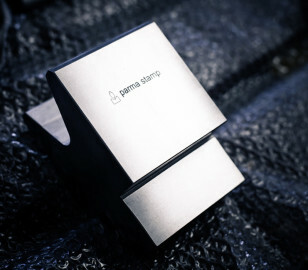 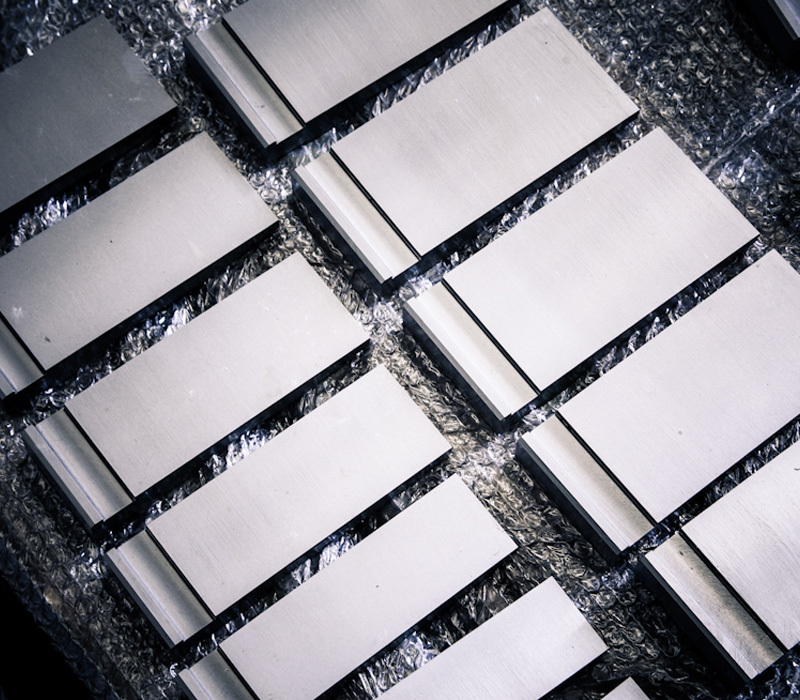 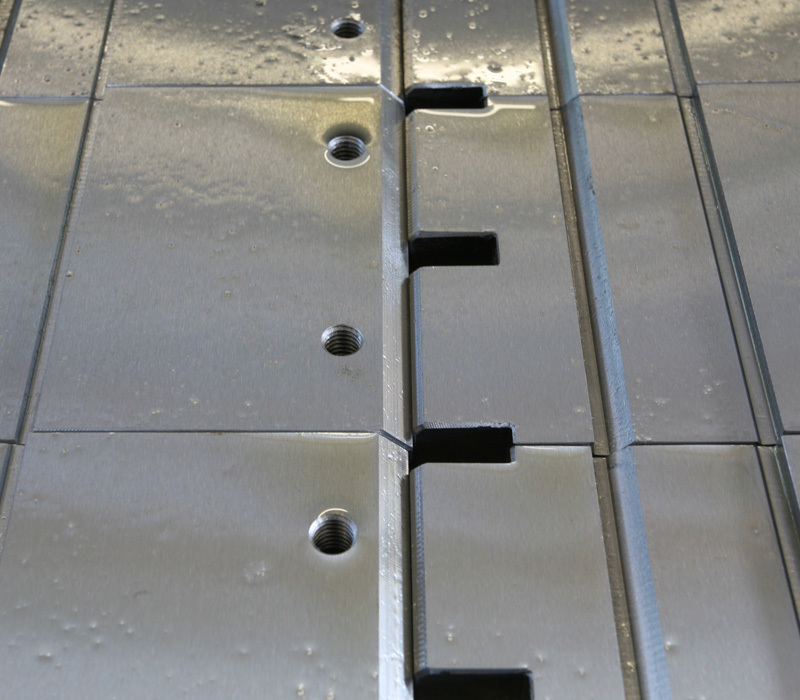 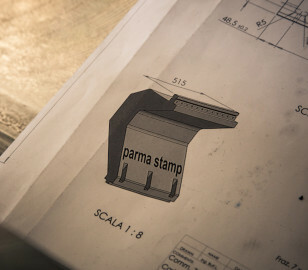 Given a profile of bent metal sheet or a finished product , Parma Stamp is able to develop a custom design. 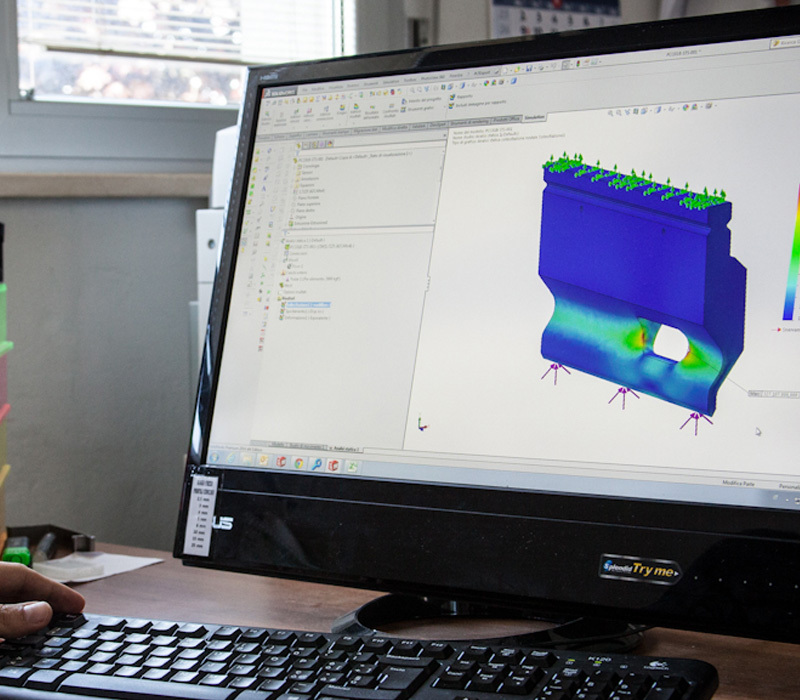 Our engineering department carefully evaluetes the size of the die, the maximum load and tensile strength by mean of 3D CAD and finite element calculations (FEM). 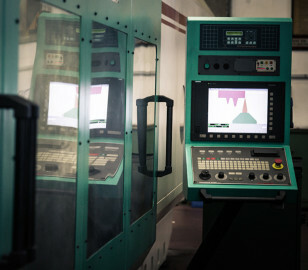 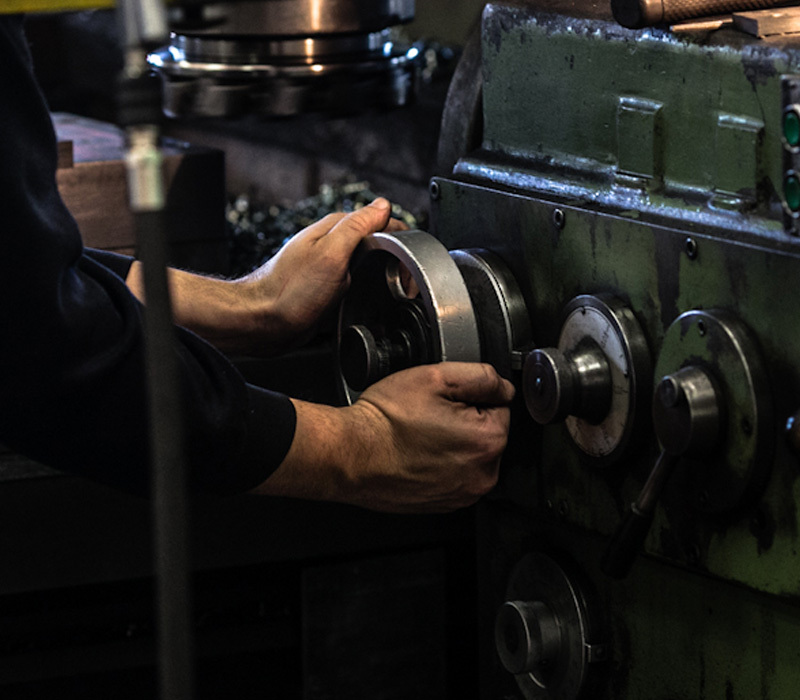 The feasibility study of the tool takes into account the existing equipment in the work environment which the die will be placed in, or it becomes a useful tool to direct the customer to purchase a new machine having certain characteristics in order to manufacture the finished bent . 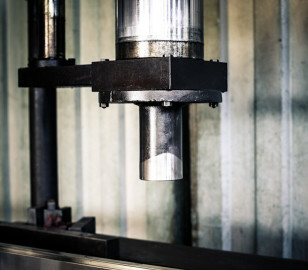 The customer is asked to fill in a simple technical request that contains the characteristics of the machine, sheet metal type and the allowed deviation. 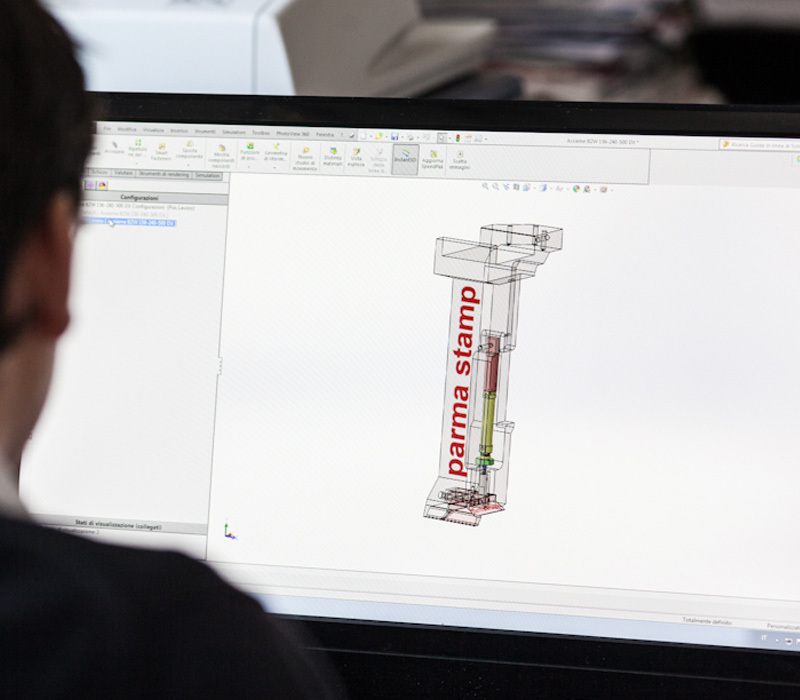 In this way we can get all the minimum necessary elements to make a proper proposal .